I love the traditional chicken gravy preparations of Goa but I like to experiment with variations in the dishes to make food interesting. 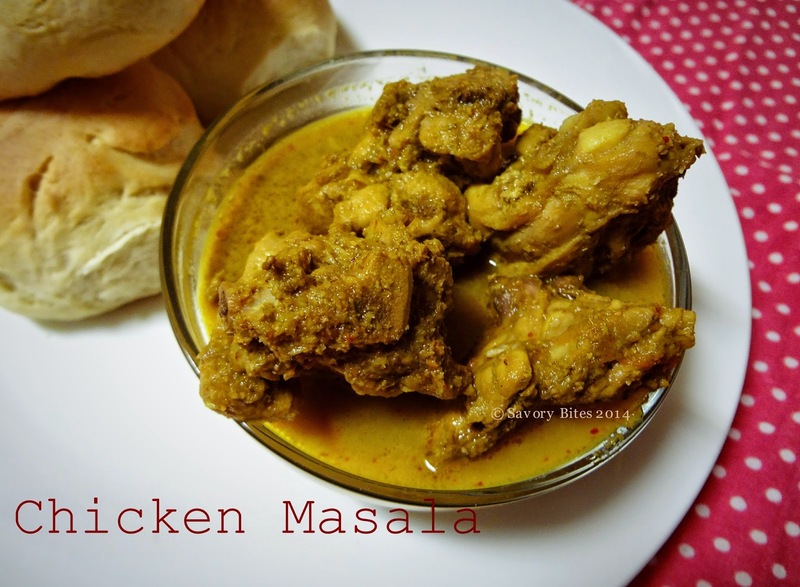 Chicken Masala is a new kind of chicken preparation for me.I had tasted it once at my friends place and I was curious to know how she did it. The recipe was a bit different for me so I did a bit of variations in the dish and turned out super yummy!! Wash chicken and keep aside. Now grind together cilantro,green chillies,ginger,garlic,turmeric powder to a smooth paste with very little water. Now add this to the cleaned chicken and add yogurt and salt. Let it sit for 2 hrs. In a pan heat oil, add chopped onion and fry for 2 mins. Add chicken with the marination mixture to this and cover and cook for 10 mins or till the chicken is 80% cooked. Add the onion paste to this and cook for 2 mins. To this add masala powder which you prepared by dry roasting and grinding. Now add Malvani Masala powder to this mixture,whipping cream and cook for another 2 mins. Just before you turn off the gas, add cashew powder. Garnish with chopped cilantro and serve wit Pav/Une or rice of your choice. I would recommend to use chicken pieces with bones here. If you use boneless chicken then taste will vary greatly. Please adjust the spice level as per your choice. Add more water if you want gravy. I don't have the recipe of Malvani Masala put up currently. If anyone is interested in recipe of Malvani Masala I shall put up a post for that soon. 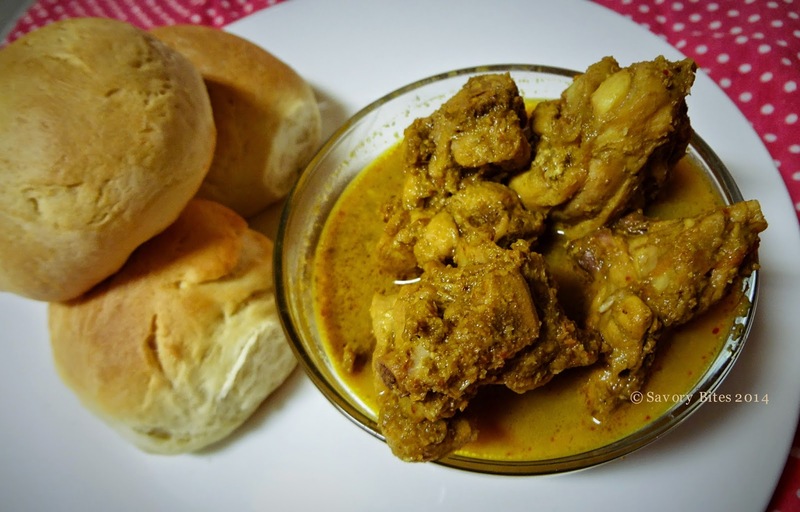 Hey Vanita, I have put up Malvani Masala recipe. Please check.Thanks.